A programme of Experimental Film Society will be screening at UP Film Institute Film Studio, Quezon City on 27th April 2017 at 17:30. 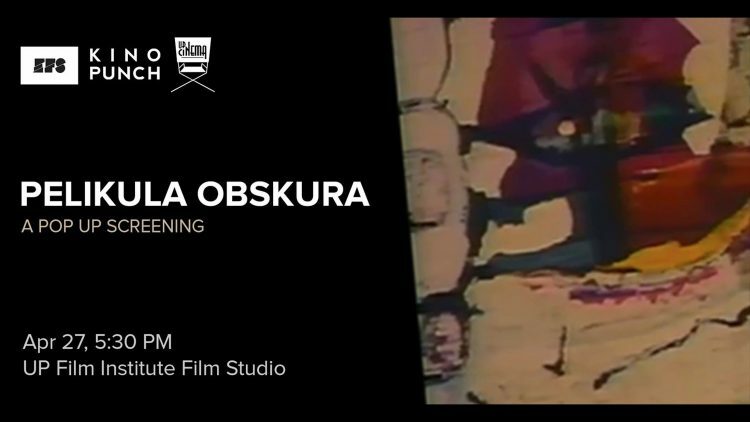 It will be as part the Pelikula Obskura programme organised by Kino Punch Magazine. Created by: Jann Clavadetscher, Michael Higgins, Dean Kavanagh, Vicky Langan & Maximilian Le Cain, Atoosa Pour Hosseini & Rouzbeh Rashidi. Address: UP Film Institute Film Studio, Media Center Building, Ylanan Street, University of the Philippines Diliman, Quezon City, Philippines.